Edit: The Giveaway is now over, and entries are closed. Thanks for reading! 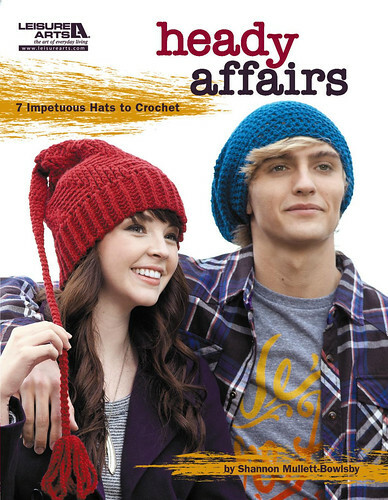 Today I am a stop on the blog tour for Shannon Mullett-Bowlsby’s new collection of designs–Heady Affairs: 7 Impetuous Hats to Crochet. I first “met” Shannon through a mutual gardening friend on Facebook, and then shared lots of laughs with him at a designer dinner at last summer’s TNNA. 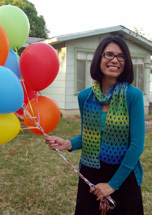 Since then, Shannon has been hooking his way into the crochet (and knit) design world at a crazy fast pace–you’ve probably noticed his designs in Crochet!, Interweave Crochet and more. 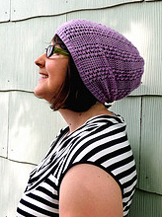 There is lots to love about Shannon’s collection of hats. 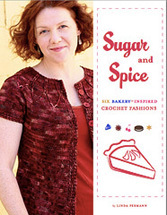 First, most of the styles are suitable for either men or women, and they are shown on both male and female models–that means that when you show your man this book, excited that maybe he’ll “let” you make him a hat, he can actually visualize it on a man’s head. 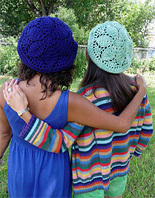 Each hat also comes in two sizes–S/M and M/L, which is great for those of us with watermelon heads (raises hand!)! And, they’re all easy or “easy plus” skill levels. 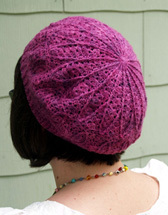 Each is worked in worsted weight yarn, which means you can go stash diving and crank out a number of these hats without spending too much cash. 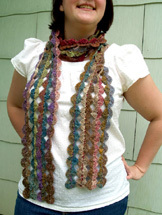 You might think you’re only going to make one or two, but trust me, when someone sees you wearing one, the “make one for me!” requests will start flowing in. There’s a little bit of everything in this book–unique constructions, interesting textures, and a bit of colorwork, too. 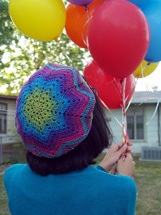 Hats are one of my favorite things to design and make, and the hats in Heady Affairs look like they would hold my interest and be something I would actually wear. 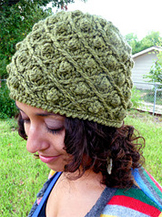 These are a couple of my favorites, and you can see all seven hats on Ravelry. 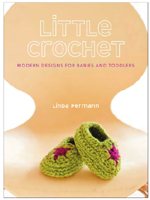 Leisure Arts is giving away a copy to one lucky LindaMade Reader. For a chance to win, leave your answer to the following question in the comments, and be sure to enter your email or give me some other way to reach you. Deadline is Friday, August 19th at 12PM CST. I’ll pick the winner randomly. 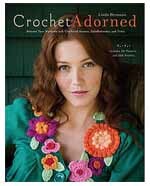 What crochet technique would you like to learn more about? 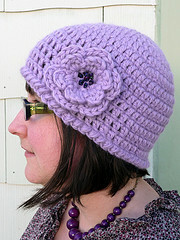 (It can be as simple as a certain kind of stitch, or a general idea like shaping, finishing etc). Check out the rest of the blog tour. 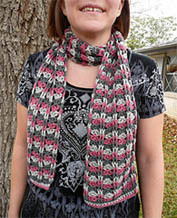 too–Next stop is Ellen Gormley of GoCrochet. I taught my daughter the basics of crocheting and she has surpassed me by leaps and bounds. 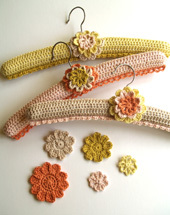 I would just love to be able to just crochet more in general! 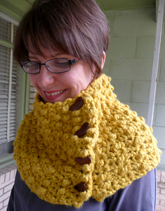 I would like to be able to crochet something more than a scarf. I would like to learn to block! 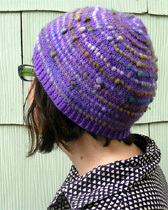 I tend to shy away from any pattern that lists the step "blocking". For some reason it just makes me rather uneasy! 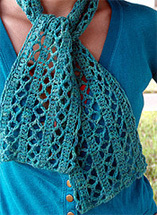 I'd like to learn more about Herringbone Double Crochet. I'll second Lorraine's thoughts on tunisian, but I'd also be interested in learning more about shaping, actually, good idea! And thanks for the heads up on the book - looks great!